For beautiful, custom, pre-made quilts, visit Shirley’s Machine Quilting. From classic patterns to contemporary designs, we can create a quilt for any style and any occasion. Whether you are looking for a unique gift or want a stunning quilt for your own home, stop by and see what we have to offer. Across generations and cultures, quilts have always been considered a work of art and a time-honored tradition. Shirley’s Machine Quilting is the only quilt shop in Ontario, OR that strives to carry on those traditions. 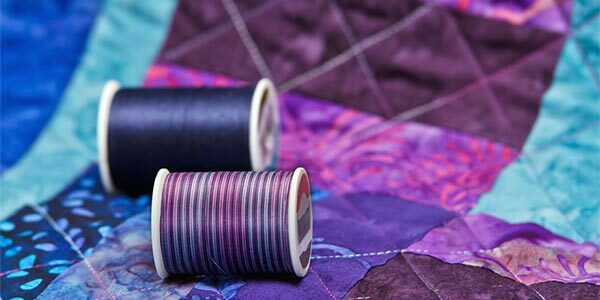 With over 25 years of experience in quilting and designing custom quilts in Ontario, OR, we have the ability to create a beautiful quilt for any style or occasion. We feel that every quilt we create is a work of art, and we put the time and dedication into each piece that a true work of art deserves. We have over 25 years of experience in quilting and quilt design. We offer a wide variety of pre-made quilts and custom quilts. All of our work is done quickly and efficiently, so you can be sure to get your quilt on time. We offer affordable prices to fit any budget. We are proud to give back to our local community, having donated quilts to The Boys and Girls Club, The Boy Scouts and Quilts of Valor for our honored veterans. June 29, 2018 Sharon W.
"I have taken many quilts to Shirley's and have always be happy with their work and the turn around time. I highly recommend her shop. Shirle..."
"Shirley & Jan are awesome I have been mailing or dropping my quilts off to them for 10 years now and they also are helpful when I’m on my ..."
December 4, 2017 Katie K.
"Shirley and Janice are amazing!! Quality service, honest, caring, and hard working! I recently dropped off 9 quilts on a Monday afternoon an..."
December 4, 2017 Karla K.
"Shirley & Janis are the best!!! I know my quilts are in good hands when I drop them off. They are very fast and efficient." August 27, 2017 Jasmine S.
"Love the quality of her work, very beautiful quilts. And everyone is friendly."